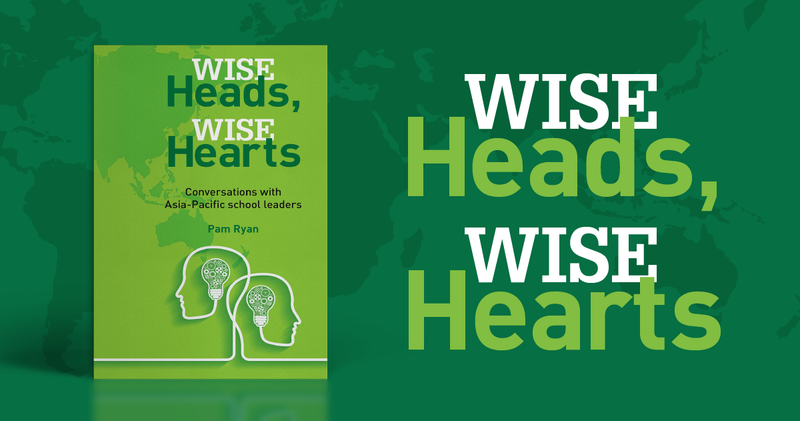 In Wise Heads, Wise Hearts I listen to ten school leaders from the Asia Pacific region as they reflect on what it means and what it takes to lead a school community. Their observations are personal, refreshingly honest and real. The book capturing these conversations about leadership will be launched in Australia by ACER in Melbourne on August 19 and in Sydney on September 7, with other cities to follow. A workshop session will run from 3 – 4:30 pm, followed by refreshments until 5:30 pm. Join me as I draw on insights from these experienced practitioners to address questions such as: what does it take to be a leader in today’s world; how can leaders survive the times of self-doubt and uncertainty; how can leaders strike the right balance between the competing demands of the role; how might aspiring leaders prepare for the role. And thank you to my good colleagues Brenda Cook, James Dalziel, Sally Holloway, Wei Luo, James MacDonald, Brendan Maher, Lila Mularczyk, Malcolm Pritchard, Tarek Razik and Dennis Yarrington for their professional generosity in sharing their knowledge and their practice. There is much to learn from these wise Heads with their wise hearts.